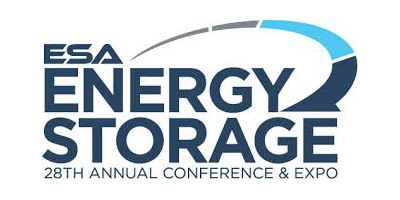 UPCOMING TRADESHOW: ESA Energy Storage Annual Conference & Expo Phoenix, Arizona April 16 – 18, 2019 Learn More. VRB® Energy is a global leader driven to empower the world to achieve clean energy solutions for a better tomorrow. VRB® Energy is a global leader in vanadium redox battery (VRB®) technology driven to empower a clean energy future for the world. Today the world is faced with the twin challenges of global warming and air pollution; this destructive combination is damaging and costly in terms of both human health and the environment. The good news is that new solar and wind power installations are now recognized as the lowest cost of generation in most parts of the world, and our long-duration, deep-discharge, long-life batteries are the best way to integrate these variable renewable energy sources onto the grid. Unlike other batteries, our systems are safe, reliable, and recyclable. VRB® Energy, formerly known as Pu Neng, is a private company, majority-owned by High Power Exploration Inc. (HPX), a US corporation specialized in mining resource exploration and related technologies. HPX is privately owned by I-Pulse, a global leader in developing innovative commercial applications for pulsed power technologies. Our grid-scale energy storage systems provide flexible, long-duration energy with proven high performance. Systems start at 250kW / 1MWh and can be as large as 100MW / 800MWh in size, installed at utility, commercial and industrial sites, in support of solar or wind farms or in isolated microgrids. Our long-duration systems are ideally suited to stabilize isolated microgrids, integrating solar and wind power in a safe, reliable, low maintenance, and environmentally friendly manner. The Microgrid Energy Storage Systems are available with a minimum order of 100 units for large scale deployment. Vanadium redox batteries can be discharged over an almost unlimited number of charge and discharge cycles without wearing out. This is an important factor when matching the daily demands of utility-scale solar and wind power generation. VRB® Energy products have a proven life of at least 25 years without degradation in the battery. Annual maintenance is low, and the vanadium electrolyte, which is 40-60% of battery cost, retains its value at end-of life. Lithium-based batteries have inherently shorter lifetimes and are not well suited for longer duration storage (4+ hours). Vanadium outperforms lithium on depth-of-discharge (DoD), cycle life, and end of life value (lithium carries a disposal cost). With over 800,000 hours of operation, and millions of cycles on systems in our research and development labs and in the ﬁeld, VRB® Energy has the most proven technology and reliable energy storage products in the industry today. Our products are available with customized power ratings from 250 kilowatts to over 100 megawatts, and scalable energy capacity from four to eight hours or more by expanding the amount of electrolyte. At the end of 25 or more years, our electrolyte can be reused in another battery or recycled for reuse for use as commodity vanadium. This is dramatically different than other battery types that ultimately bear a waste disposal cost. Unlike other battery systems, VRB® Energy’s robust products contain no heavy metals like lead, nickel, zinc or cadmium. The liquid electrolyte in our products is non-toxic, non-flammable and is 100% reusable. The Capture the Energy 2019 Conference will examine the policies and markets influencing the rapidly growing energy storage sector in New York State. ESA's Annual Energy Storage Conference & Expo is the premier gathering of decision makers, leaders, and other stakeholders from around the industry who understand that energy storage is integral to all systems planning and deployment. VRB® Energy provides the best renewable energy storage solutions. Contact us for a customized evaluation to learn more.